With offices in nearly every state, TCE LLC has the ability to effectively mobilize the people, skills, and technologies our clients need to improve service to their wireless customers. We provide wireless tower site acquisition services, tower erection and cell tower maintenance services for some of the nation’s largest cellular, broadband, and digital-data providers, and we deliver solutions that maximize cost-effectiveness, without sacrificing quality, safety, or service. We keep our employees up-to-date and trained in next-gen technologies and practices, and are committed to reducing negative impact on the environment. We create eco-friendly sites that minimize or eliminate the equipment hut and associated HVAC, reduce power and battery requirements, and decrease overall carbon emissions. 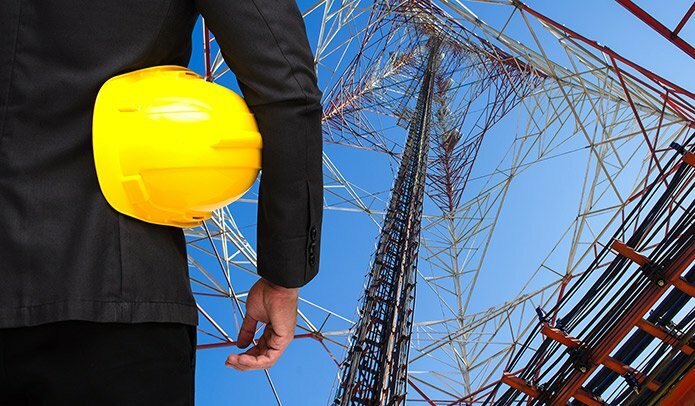 TCE LLC handles all private, commercial, and government wireless construction projects in-house to ensure that our clients’ needs remain the priority at every stage of cell tower development. Quality, safety, structural integrity, reliability, and aesthetics are all key elements to successful microwave antenna system deployment efforts. Our company places high priority on safety, integrity and customer service, recognizing that satisfied customers are the key ingredients in our business success. We work hard to constantly maintain and improve the technological skills that are vital to the continually growing communications industry. Our attention to detail ensures each antenna and line installation is performed properly and in accordance with customer and manufacturer specifications, as well as our own rigid standards of safety and excellence. Our crews are trained and certified with the most current and popular brands of connectors and coax manufacturer. We have a team of professionals, who are well versed with the theories and applications of circuit components and network graph. This team is comprised of qualified engineers, technicians, and other allied workers. They are acknowledged with all the applications and circuit analysis method of Telecom Industry and Electrical Industry. As the result, our team is extremely efficient to carry out the Civil & Electrical Work. TCE LLC provides turnkey solutions for fiber network construction, engineering and installation needs. We focus on creating a bridge between the wireless and wire-line industries. We offer cost effective design and installation services in conformity with the latest industry standards. Our technicians work for a diverse group of commercial customers and are committed to exceeding their expectations. We ensure every project is handled with professionalism and care.